The Austrian motorcycle manufacturer- KTM Sport motorcycle AG, has geared up to launch KTM 390 Duke 2017 edition. 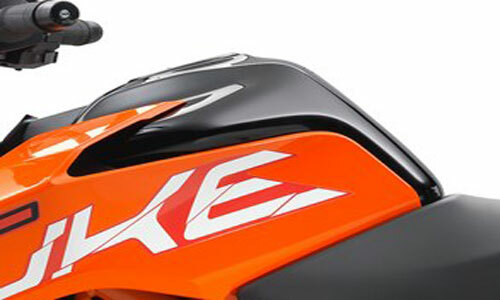 A few years ago, with its Duke series, KTM changed the way Indian consumers think about motorcycles. And now KTM 390 Duke 2017 is set to repeat the history! With the characteristics power punch and advanced features like ABS, this bike will certainly rock the Indian market! What’s New in KTM 390 Duke 2017? The new Duke 390 comes with the tag line 'one for all' which clearly hints that it will be an All-in-One package. In addition to the styling changes, this bike features LED headlamps and ride by wire technology. Thus, making Duke 390 even more safe and responsive than before. The new Duke 390 has inherited design legacy from its elder sibling 1290 Super Duke R. The aggressive front end with sharp LED headlamps is the most articulate feature of this bike. Also, it has a larger belly i.e. a steel fuel tank of capacity 13.4 Lit. Furthermore, KTM has significantly improved ergonomics and thus, this bike offers better seating position making long journeys comfortable. The parking light with 20 LEDs not only distinguishes this bike but also improves on-road safety. The multicolour TFT display is gorgeous as well as smart. It changes colour whenever it realises that something is wrong. Say if you rev the cold started engine, this display bar changes colour immediately telling the rider not to do so. It is also fitted with ambient light sensor which ensures clear visuals even in bright daylight. In addition, rider can connect smartphone to this display and can receive calls and messages on the go. The punchy engine produces 32 kW (44 hp) of power. With Bosch EMS and ride by wire technology, this engine stands out from the rest. The 6 speed gearbox with anti-hopping clutch makes changing gears a breeze. The exhaust system is also upgraded to meet Euro 4 emission norms. The meticulously designed light weight chassis further improves riding fun. 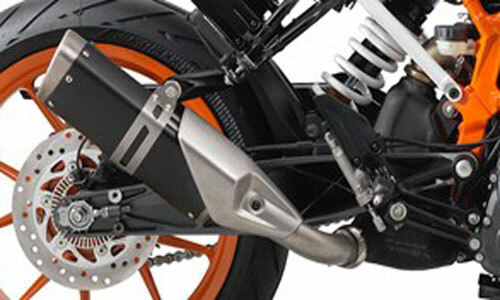 With all these features, KTM has undoubtedly raised the bar for other sports bikes! 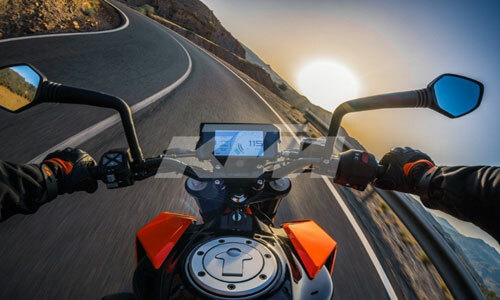 Home » Articles » KTM 390 Duke 2017: The beast is coming soon!! bike riding tips for beginners… Read This Before You Ride a Bike.! Ok Play e rickshaw is the beginning of clean mass transportation in India.